You are here: Home » Blog » General News » My first giveaway!! 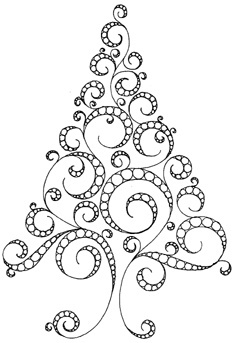 I have been busy with a lot of paperwork lately, but while working on the computer I did have a look at Pintrest and found this lovely drawing of a tree. 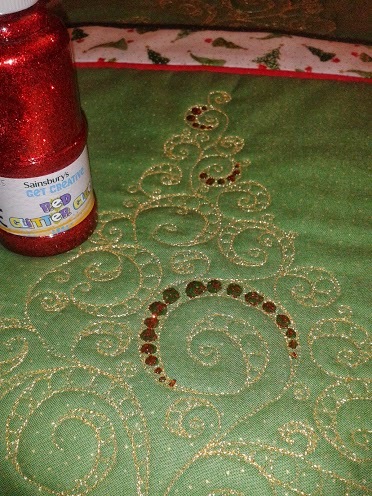 The moment I saw it I had green fabric in front of my eyes and gold thread in the machine!! The trouble was, that I couldn’t find who made the drawing to ask a permission to use it in textile piece. So I apologize to the person who made this for copying his/hers design. But I fell in love with it!!! First intention was just to make one for a friend who just had a birthday and who I’m always bombarding with question about knitting, so it was kind of Birthday/thank you/ I’d like to cheer you up present and I think it did the magic And I wanted to make one for myself as well. 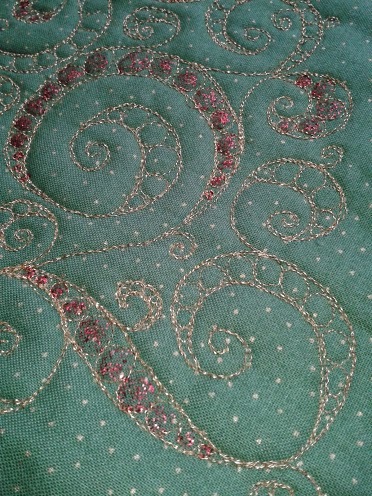 But as I was quilting the little pearls I knew I will make more of them!! 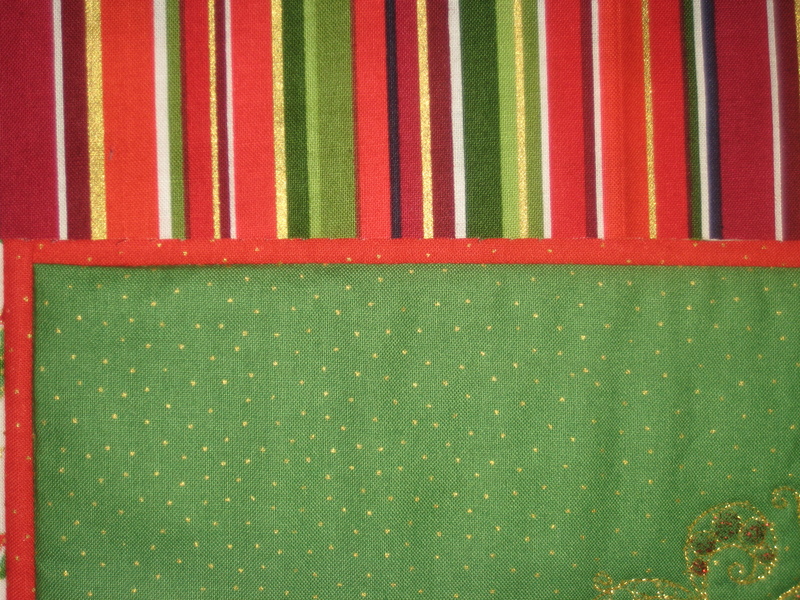 I went through our fabrics in the shop and prepared several strips for skinny borders and borders and dark green binding. 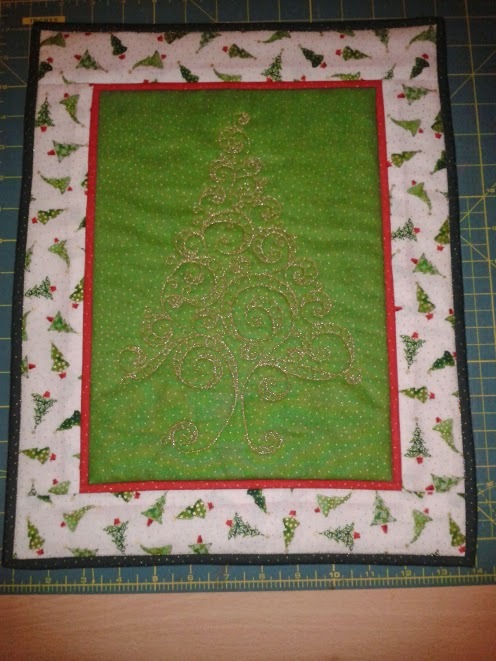 First one I have made was with lovely light fabric with scattered trees. 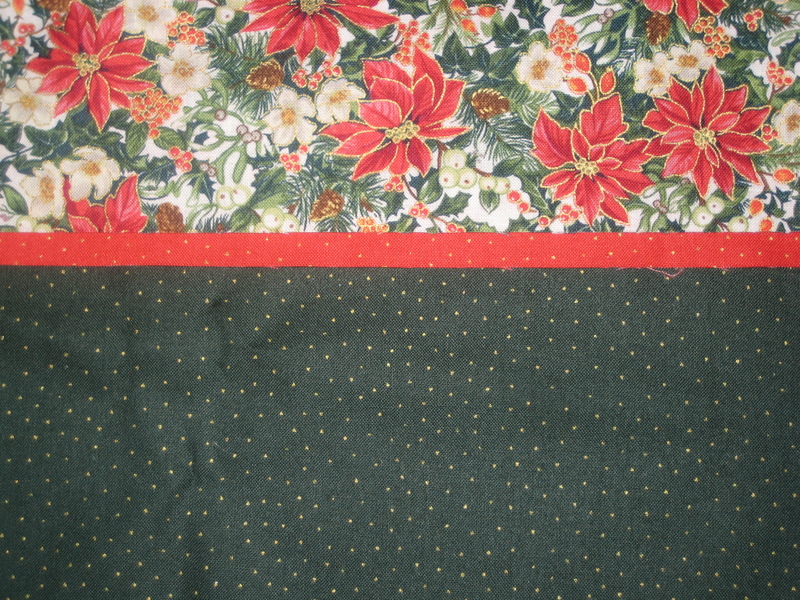 Decided on contrasting red skinny border and here we are!!! But something was missing …. couple of days ago Oli came home with some finger paints fr Jasmine and glitter glues, so that I can as usually make a hand made Christmas cards. Well I took the glitter glue and returned to my nursery days as described by my friend! But look at he result and the change in the whole look of the piece!! Isn’t it lovely?!?!?! And because I’d like to share with all my readers my excitement about this little Wall hanging, I’m going to make one specially for one of you. And I have a question for you! 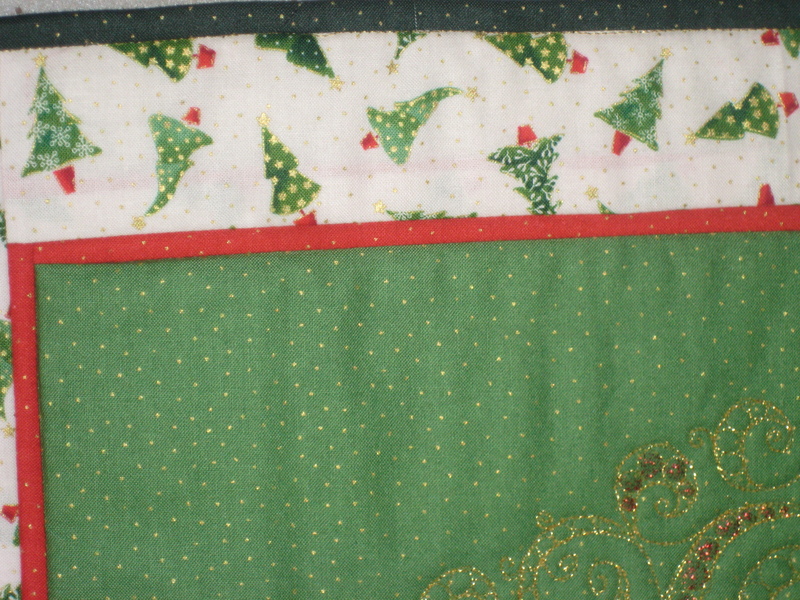 I’d like to know what was your most favourite hand made present you have ever got from somebody?? Christmas are coming and I’m sure we all would like some inspiration on the present theme. 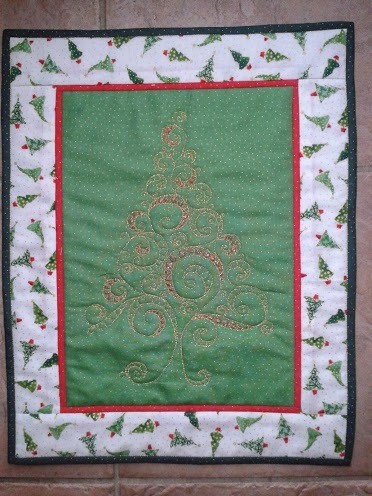 So leave me a comment, answering the question and don’t forget to tell me which coloured combination you like the most and I’ll randomly choose one of you and post you this lovely wall hanging. Closing date is Sunday 27th October!! I’m looking forward your answers.